The SA State Government has changed the requirements for report a crash to police. If no one is killed or injured, you only need to report a crash at a police station if the total damage is $ 3,000 or more – (up from $ 1,000 previously). If the damage is less than $ 3,000 but you would still like to report the crash for insurance purposes, you can now do so through a new online reporting system introduced by SA Police. Visit www.reportacrash.police.sa.gov.au and complete the checklist to see whether a crash is eligible for online report. All repairs are completed in the most cost effective method without compromising Quality and Safety. 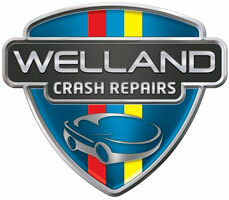 Call Welland Crash Repairs today. All Passenger, Fleet, Light Commercial & Insurance Crash Repairs. Visit us on Facebook to keep up with the latest.